Fox Chase Chemical Diversity Center (FCCDC) is a company focused on providing medicinal chemistry/chemical biology support to basic research programs. Our goal is to assist researchers to develop their fundamental research into bona fide drug discovery programs. Seek, find and develop molecular probes to better elucidate their target and potential therapeutic application. Advance Hits from screening to Lead status, using in silico design and chemical synthesis via small directed libraries or individual compounds; improve/develop structural activity relationships (SAR) as well as evaluate/improve ADME properties. Determine the Intellectual Property position of the chemical matter and provide a path forward for which novel compositions can be made and protected. At FCCDC, we have >125 years of industrial experience ranging from big pharma (J&J, Merck), biotech and contract research organizations. 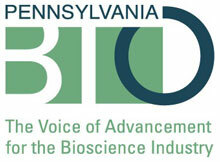 FCCDC is located at the Pennsylvania Biotechnology Center (PBC), and is affiliated with the Pennsylvania Drug Discovery Institute. The PBC is a 112,000 square foot campus that houses nonprofit research organizations and commercial start-up companies in the same facility, located in Doylestown, Pennsylvania (just north of Philadelphia). Fully equipped labs: glassware, balances, vacuum pumps, ovens, platform shakers, pipettors, etc.